There's been a flood of news. A deluge of views. And many waves of worthies. But don't worry, dear readers. Our monthly Hall of Fame will tell you exactly what you need to know. Ignore the rest. What started as just another Bollywood scandal, destined to be brushed under the red carpet, gradually fomented into India’s powerful #MeToo movement. Women broke their silence and stormed social media with harrowing experiences of being abused, molested and harassed — by a ‘friend’, a boss, a colleague. And October was all about it — all about allegations, counter-allegations, victim-blaming, muscle flexing and feeling pained a little more every day. 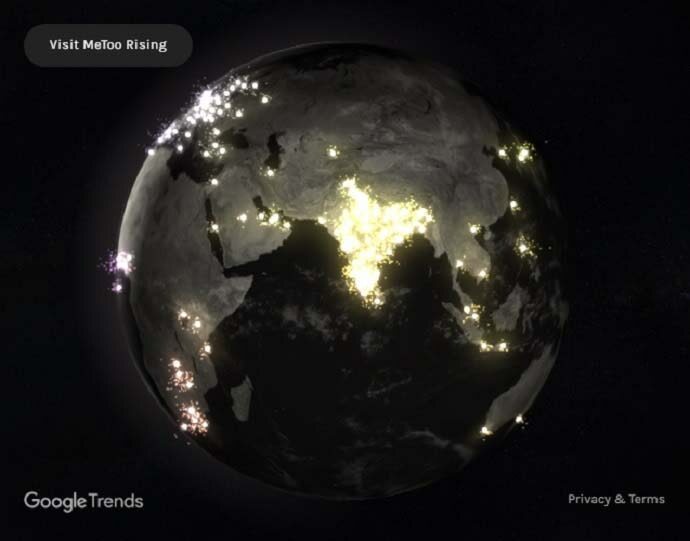 Google created a #MeToo Rising global map — and India, in October, shone the brightest. We don’t know whether we should feel proud of that or hang our heads in shame for we have not let these women speak for so long! And there are more still suffering in silence. The Women and Child Development ministry has planned to set up a legal panel to look into #MeToo complaints. Union minister and veteran journalist MJ Akbar resigned in the face of several #MeToo allegations against him. These developments must have tasted like success — after having gulped back tears for ages. We lost Jamal Khashoggi, a Saudi Arabian journalist working in the US, and apparently got a ‘new Trump’ in October. On October 2, Saudi Arabian journalist Jamal Khashoggi was last seen in the Saudi consulate in Istanbul. His sudden disappearance shocked and enraged the world. For days, the Saudi government denied any knowledge about whatever might have happened to Khashoggi, while Turkish prosecutors claimed that Khashoggoi was strangled and cut up. In the Saudi consulate. Amid widespread violence, Afghanistan finally went for its long-delayed parliamentary elections, originally scheduled for early 2015. This was the third election since the fall of the Taliban in 2001. Bhutan elected a new party, formed in 2013, to lead the Himalayan kingdom. Sri Lanka faced a constitutional crisis as President Maithripala Sirisena suspended Parliament and sacked elected prime minister Ranil Wickermesinghe, replacing him with former president Mahinda Rajapaksa. 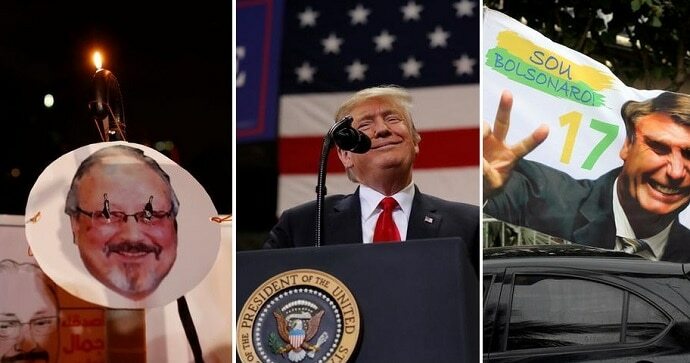 And the world got the “Trump of the Tropics” — Jair Bolsonaro, a far-right candidate, won the first round of Brazil’s presidential election. Because why stop at one Trump when you can have two? From co-actors to 'good friends' to a high-profile Bollywood couple, the Ranveer-Deepika jodi finally graduated this month as they announced their wedding to be held on November 14 and 15. The rumours were floating since time immemorial, before Priyanka Chopra and Nick Jonas took over centrestage with their engagement and a plethora of after-parties. We are happy for the couple — and for us as this is clearly not going to be a secret wedding. 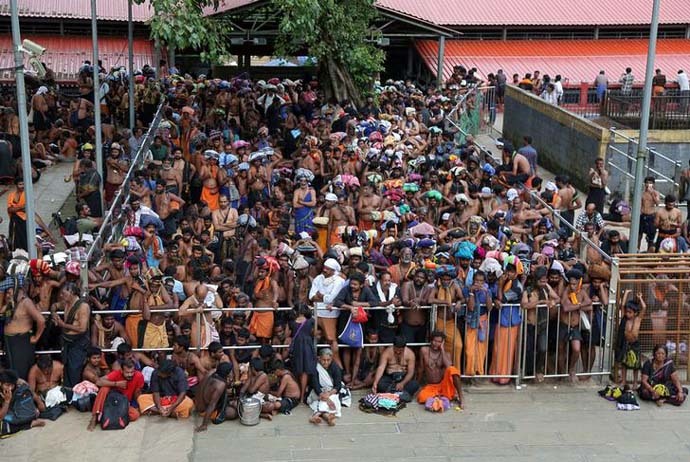 In September, the Supreme Court allowed the entry of women of all age groups to the shrine of Kerala’s Sabarimala temple — a historic judgment indeed. A battle won, but many others lost. On October 17, the gates of the temple, which were so far closed to women of menstruating age (10 years to 50 years), opened — but only to bigger chaos. Women, including journalists, were attacked and the issue got politically hijacked. The ruling CPM has accepted the ruling, while opposition Congress and BJP demanded a review. There are a total of 19 petitions in the Supreme Court, which will be heard on November 13 — after the temple opens its gates again for 24 hours on November 5-6. We take seconds to hate Kohli — and then love Kohli — and then again maybe hate him. He was everywhere this month — from posing with Anushka on Karwa Chauth to breaking Sachin Tendulkar’s record. 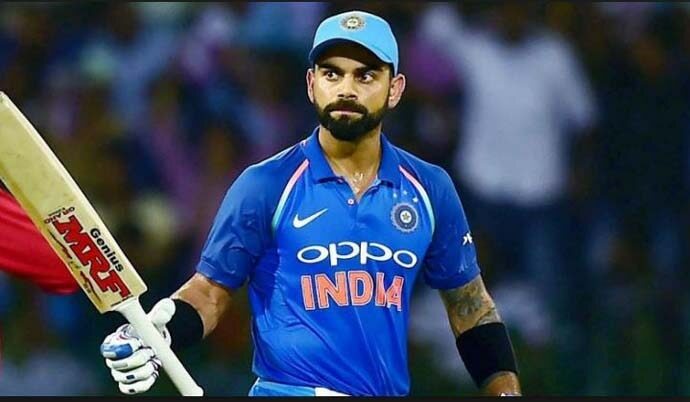 So, he became the fastest to scrore 10,000 runs on One-Day internationals, rewriting Sachin’s record, during India’s 2nd ODI against the West Indies. Tendulkar took 259 innings to get there, while Kohli has so far batted in 205 innings.